The SX-64. It looked very cool.! 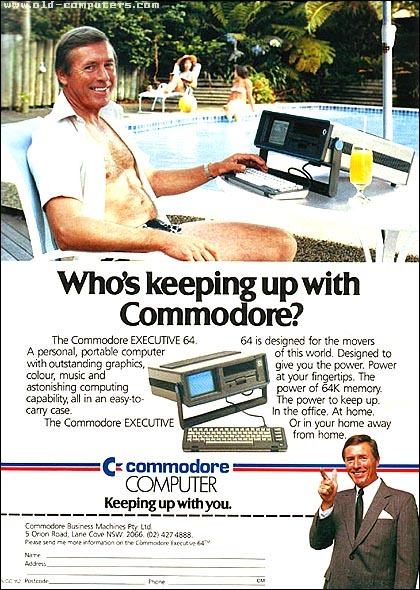 This stylish sibling of the Commodore 64 was dressed to suit the business man on the go, but underneath it just wanted to play. Essentially, it IS a Commodore 64 in a different skin. The startup screen has slightly different colours and there is no cassette port, but that's about the only functional differences. 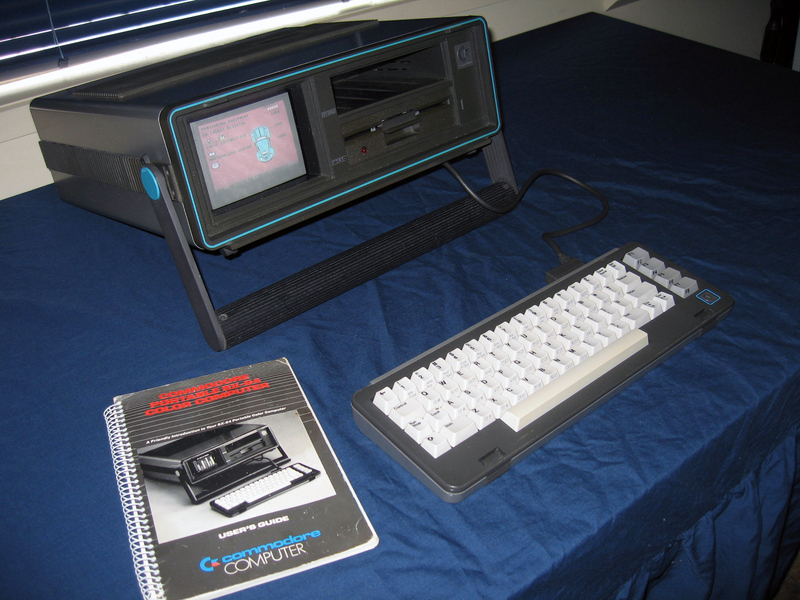 The tiny screen, lack of PC or CP/M compatibility along with the notoriously slow commodore serial disk drive made the model a non-starter in the business market, but it was attractive with his blue racing stripe and was regarded as a bit of a novelty! This unit was gifted to me by a relative. It was faulty, displaying no memory at all and I had to chase a few moths out of the case. I cleaned it up then managed to get some RAM chips and started to replaced them one at a time. Eventually the faulty component was found and the SX-64 has never looked back! It's a cute little computer and now quite rare. A valuable item in the stash.